Obtaining a property loan has become a cakewalk nowadays due to a number of Real Estate companies assisting their clients to get a hassle free and comfortable Property Loan. Based in New Delhi, Vistaar Estates is one of the leading Real Estate Companies, which provides excellent Property Loan Consultancy. We, at Vistaar Estates, offer the clients with the best Property Loan Consultancy at the most affordable and reasonable charges. 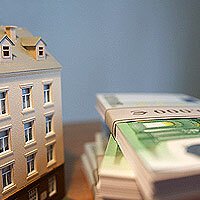 We assist the clients in getting Residential Property Loan, Commercial Property Loan and Housing/ Home Loan. We also have tie-ups with a number of leading banks like ICICI Bank, HDFC Bank etc., from where you can easily avail property loan and cherish your dream of getting a home.